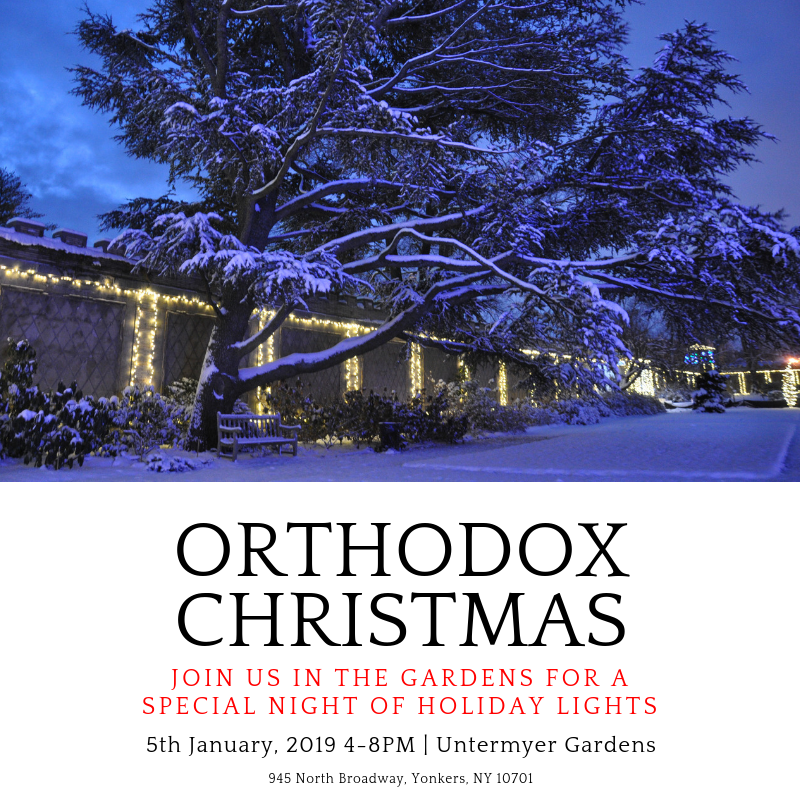 In honor of Old Calendar Christmas (also known as Orthodox Christmas or Julian Calendar Christmas) the gardens will be lit one additional night on January 5 which is two days before Old Calendar Christmas. This event has been cancelled due to rain. 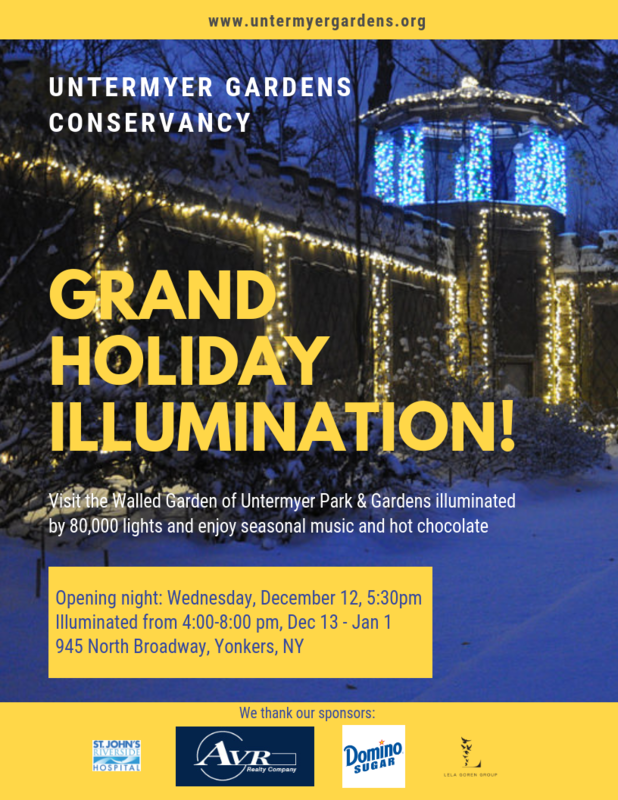 During the Illumination, while the Walled Garden hours are extended, the remainder of the gardens close 45 minutes before sunset - visitors wanting to see the Illumination after sunset should plan on entering the garden from the North Broadway entrance - the gate to the aqueduct and the gate at the top of the Vista will be locked. Because it is like no other holiday lights experience. Because this garden is a fave of mine and I talk about it a lot and visit throughout the year. Because this is where, at the Summer Solstice Soiree, that I met one of my oldest childhood friends after, well, about a hundred years. Because growing up in nearby Dobbs Ferry I witnessed the transformation of this garden from near ruin to restoration and majesty. I cannot love this place more. You just have to experience it for yourself.